March 19, 2019  Auerbach breaks down working with new artists and seasoned session players through his label imprint, Easy Eye Sound. March 7, 2019  The Akron, Ohio duo built its name off chugging, crunchy rock. 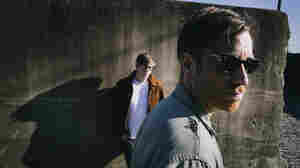 Its latest single, "Lo/Hi" marks a return to this sound. July 3, 2018  Swift, who worked with both The Black Keys and The Shins, had recently been hospitalized with an unknown illness. June 5, 2017  Dan Auerbach joins Bob Boilen to go through the music that inspired his newest record, Waiting On A Song, featuring contributions from some of Nashville's most accomplished and dedicated musicians. June 5, 2017  The producer and Black Keys singer made his new solo album, Waiting On A Song, after a move to Music City. Hear him perform some of the new songs — including the title track, a John Prine co-write. 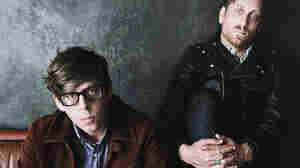 May 25, 2017  Each track on The Black Keys singer's new album sparkles like a long-lost AM radio gem. 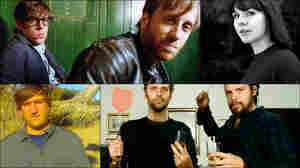 August 26, 2015  In his new band, The Black Keys' Dan Auerbach plays immersive, funky R&B and soul that's embellished with velvety harmonies, hissy tape recordings and lip-curling attitude. 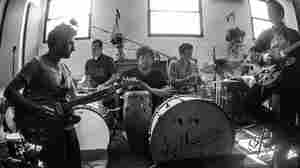 September 3, 2015  The Black Keys guitarist and sought-after producer discusses his new album with his band The Arcs. Titled Yours, Dreamily, it finds Auerbach working with some of his favorite past collaborators. May 13, 2014  In an extended conversation with NPR's Steve Inskeep, the band offers insights on the relationship between creative process and success. May 12, 2014  How well do Dan Auerbach and Patrick Carney know each other? World Cafe puts them to the test. May 10, 2014  The albums, videos and musical moments that stopped the All Songs Considered host in his tracks this week. 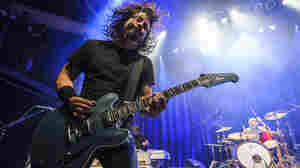 This week: Dave Grohl throws his childhood heroes a rocking hometown party. May 7, 2014  Dan Auerbach and Patrick Carney unpack the expansive, irresistibly catchy sound of their eighth studio album — featuring new adventures in sampling, falsetto and epic guitar shredding. March 25, 2014  Hear brand new cuts from The Black Keys and Swans, plus our latest musical discoveries, including singer Dylan Shearer, who channels Syd Barrett-era Pink Floyd. Danny Clinch/Courtesy of Warner Bros.
September 2, 2013  The road-tested, Grammy-approved electric blues and roots duo puts its signature power on display. 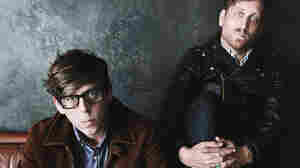 Courtesy of Sacks & Co.
November 27, 2009  The Black Keys are known for their stripped-down, blues-inspired music. But in a new project called BlakRoc, they are breaking into the world of hip-hop and collaborating with rappers like RZA and Pharoahe Monch. April 9, 2009  The Pretenders may have put Akron, Ohio, on the musical map, but The Black Keys' members belong to the next generation of hometown heroes. 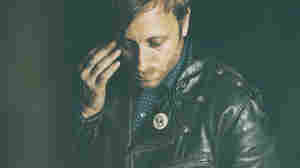 Dan Auerbach, the duo's guitarist and vocalist, is taking a step out on his own with the release of Keep It Hid, his solo debut. 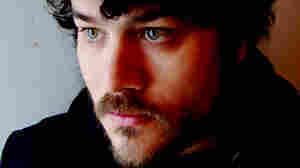 Here, he performs an in-studio session with WFUV. April 1, 2008  Blender magazine's Elizabeth Goodman discusses albums released this week by R.E.M., The Black Keys, Kylie Minogue, and an Afropop tribute to U2. 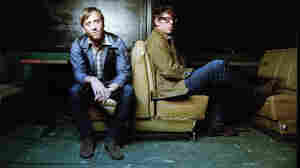 June 3, 2007  The Black Keys are a duo from Akron, Ohio. The band went from college dropouts mowing lawns to cult stardom. Their sound is an ultra-retro throwback to the days when Eric Clapton and Jimi Hendrix channeled American blues artists. December 4, 2006  World Cafe features daily interviews and live in-studio performances from seasoned music veterans and new sensations, in genres ranging from rock to blues to folk to alternative country and beyond. 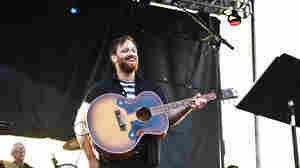 From NPR station WXPN, host David Dye chooses his favorite albums of 2006. November 24, 2006  The Akron, Ohio, duo prefers its music sloppy and primitive. They record in a basement, and use strategic pauses to make their two-instrument band sound bigger. 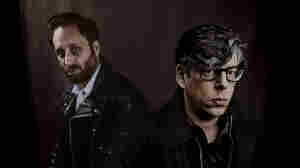 Guitarist Dan Auerbach and drummer Patrick Carney talk with Steve Inskeep before their set at Washington, D.C.'s 9:30 Club.